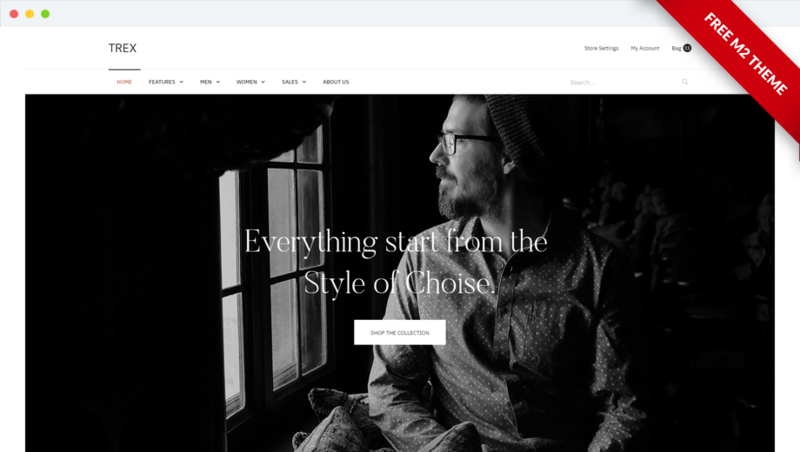 A purely flat design for a more minimalistic feel, light and easy-on-the-eye. 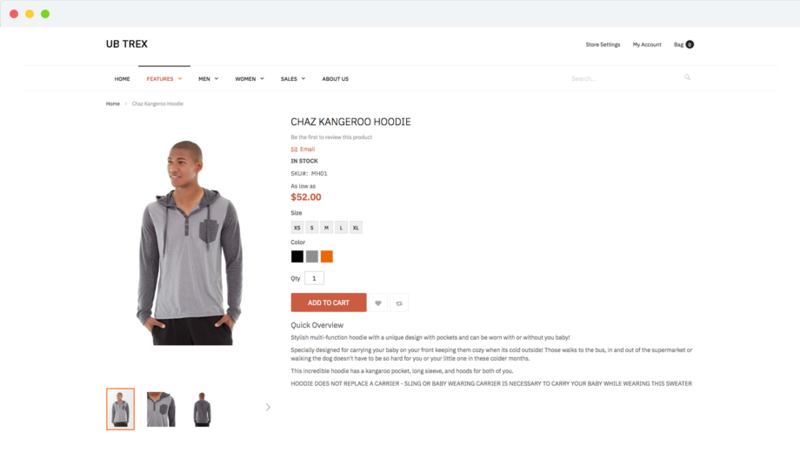 Adaptable to different Magento 2 product ranges. 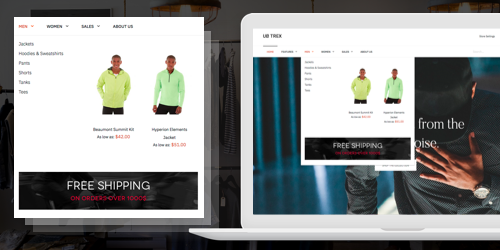 Blow up the bright gamut and a sleek layout into your eCommerce Magento stores. It helps to showcase all key product information you need to create a prominent buy-now call-to-action. 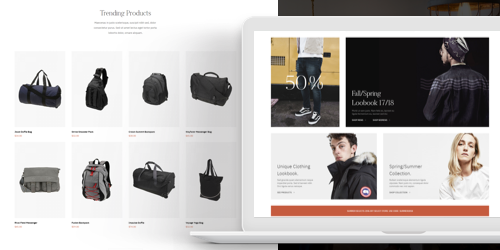 Users can switch between the product list and grid layout to see just the product images or images with product info when they browse or filter product list. 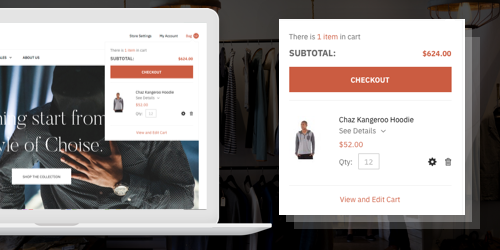 Mini cart is a handy widget that allows buyers to view and manage products without taking them out of the shopping process. 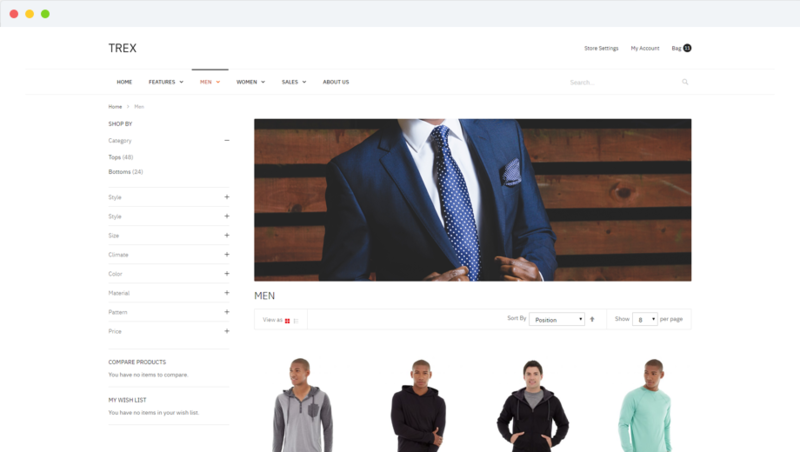 UB Trex is made to work alongside our premium Magento 2 extensions – UB Mega Menu, UB Quick View, UB Content Slider (need separate purchase). You can select any other options you want to extend and provide extra functionality. 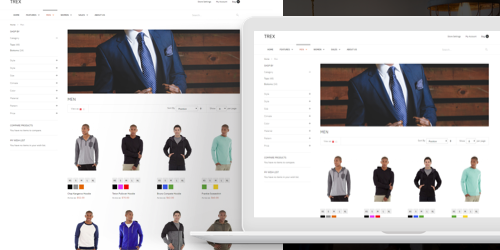 UB Trex Magento 2 theme is responsive to have outstanding appearance and match with all responsive layouts: Desktop, laptop, tablet and mobile. One step away and you will get to download this freebie. Don’t worry, your email is safe with us and we hate spam as much as you do.